42 ml black ink cartridge. 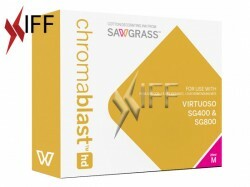 Compatible Systems: Sawgrass Chromablast SG400, Sawgrass Chromablast SG800 Sawgrass Chromablast sublimation printers. ChromaBlast-HD is a professional digital heat transfer ink for white and light colored cotton and cotton-blend fabrics. You can use Chromablast-HD inks to print on Cotton and Cotton-Blend Fabric. ChromaBlast-HD is a professional digital heat transfer ink for white and light colored cotton and cotton-blend fabrics and designed to work with Virtuoso HD Garment Decorating Systems. Deep, rich, dazzling colors that last wash after wash. OEM printer inks cannot compare to the quality and colorfastness of ChromaBlast-HD. Real textile inks in a compact desktop system configuration. 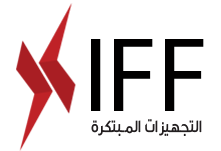 Of the only fully integrated HD garment decorating solution on the market. 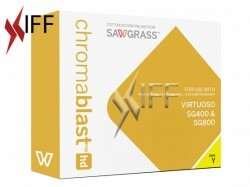 For maximum yield and low imaging costs, ChromaBlast-HD inks have a high density of pigment dyes. Our high-yield gel formulation delivers not only the lowest possible image cost, but larger color gamut than ChromaBlast-R, ensuring the most vibrant colors ever. With imaging costs typically less than 5% of the selling price, digital decorating with Sawgrass inks is profitable. Enjoy enhanced free printer software for Mac and Windows platforms, with unique and functional color output settings optimized for production with Virtuoso HD Garment Decorating Systems. PowerDriver v4 for Windows Operating System: Works with desktop graphic design programs – such as Adobe products and CorelDRAW – applying color and print management for optimized printing with ChromaBlast-HD inks and cotton substrates. MacProfile with Swatch Palette for Mac Operating System: Enables images created with desktop graphic design programs for Mac OS to print in rich, vibrant color across a wide variety of image types through SG400 and SG800 printers. CS Print and Color Manager for Windows and Mac Operating System: Designed specifically to enable the Sawgrass sublimation printer SG400 and SG800 to print graphics created in CreativeStudio Online Designer. Ink Delivery Systems: a 42 ml black ink cartridge.